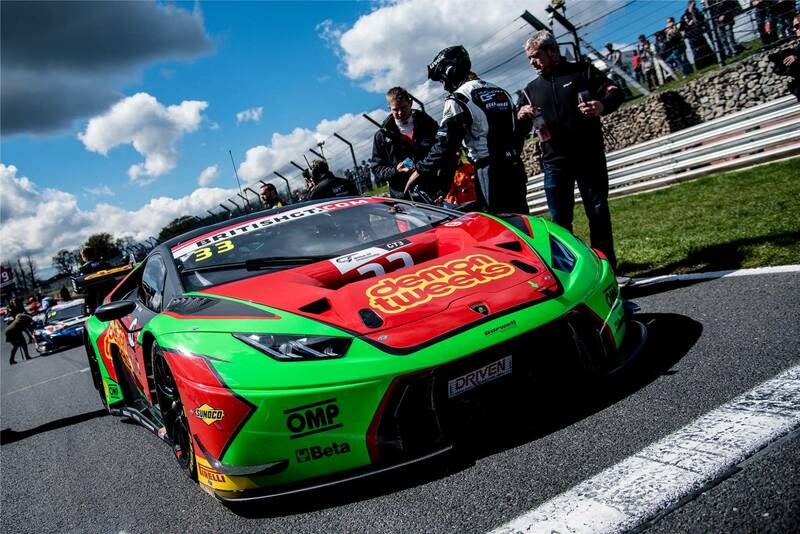 Jon Minshaw and Phil Keen compete in the British GT Championship with Barwell Motorsport in a Lamborghini Huracan GT3. 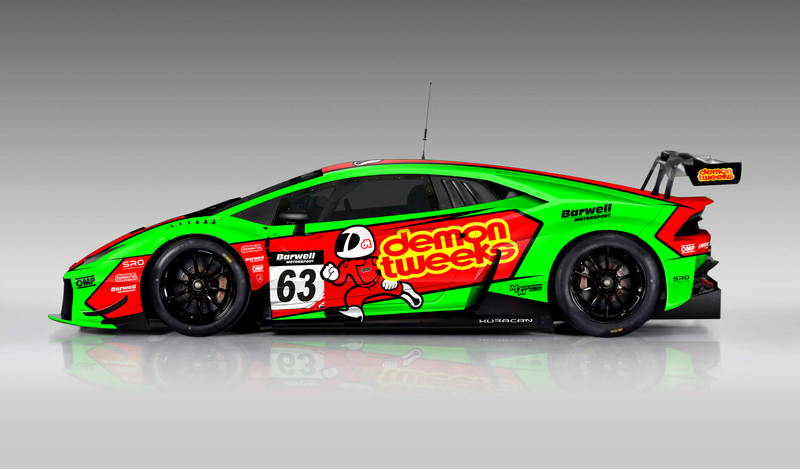 Our relationship with the CEO of Demon Tweeks has seen us create the super bright Fluorescent Green and Red Demon Tweeks Lamborghini. 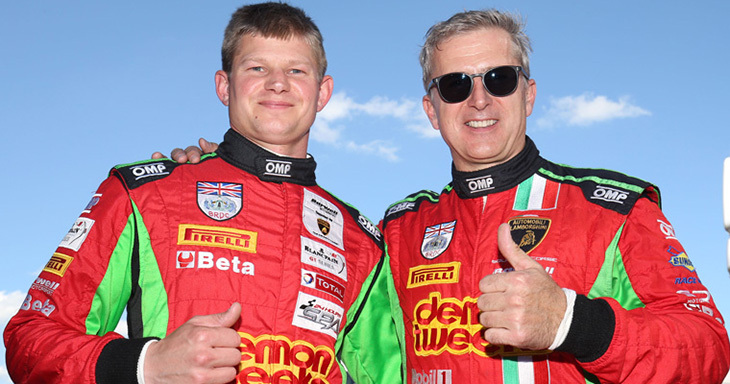 The 2016 season saw Minshaw and Keen move into the Lamborghini machinery for Barwell Motorsport. After a successful season with the BMW Z4 GT3, which we designed in the instantly recognisable green and red livery - the design was then evolved and created to fit the aggressive stance of the Italian Marque. 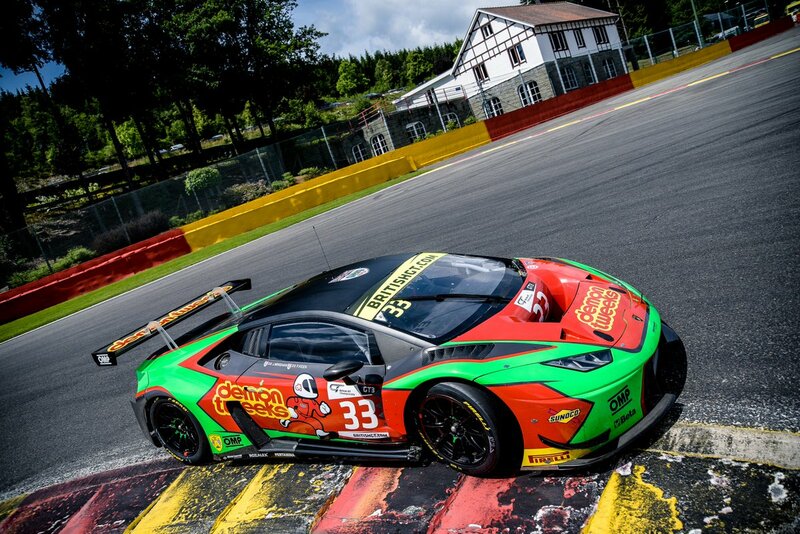 The result was the creation of a super bright fluorescent green car, which stands out from one side of the circuit to the other when trackside and on the television cameras recording the British GT Championship. The design was created all in vector software. The original side on concept of the Lamborghini was created from scratch, utilising presentation images of the freshly released Huracan GT3. Once the template was drawn, detailing rendering using a range of transparencies, shading and blurs - a realistic presentation effect for photo realism was created to complete the template. 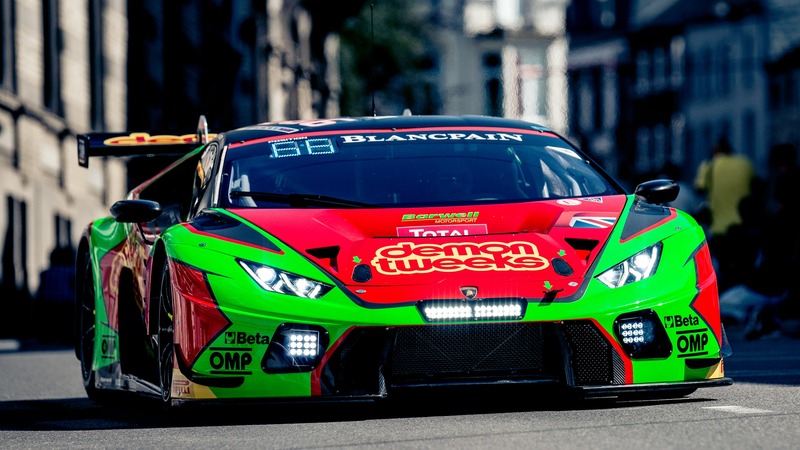 With the template now created, the design of the livery was then made onto the Huracan GT3 template (as per the design in the hero slideshow) The striking livery was then confirmed, with the required partner and sponsor logos then added into the final design - ready for press launch, announcing Minshaw and Keen with Barwell in 2016. 2017 still see's the livery compete in the British GT Championship, albeit it with the livery slightly changed to blend into the carbon roof of the car. This is due to the car panels requiring to be changed around the carbon chassis for the multiple championships that Barwell compete in. MDM Designs also created the design for the OMP Racesuits for Minshaw and Keen. The 2015 suits contained plenty of green and red, with the green being toned down into 2016 and 2017 - instead including the Triclore stripe onto the left hand side in reference to the Lamborghini Brand. View all our liveries that we have done for Demon Tweeks over the years, inclduing the BMW Z4 GT3, Ginetta G55 Supercup Livery, the Porsche 911 GT3R's and the racesuit designs in our galleries.